Today is Memorial Day and I was fortunate enough to spend it with my parents and my brother’s family. As we all get older, it’s harder and harder to get all of the kids (now young adults) together with everyone. We were able to grill out, share stories, see how fortunate we are to have such great kids. I cherish my family and this day, more than most, makes this even more true. You see, one person wasn’t able to be at our gathering, my biological father. My dad, John Browne, was a veteran of the US Army. He served during the Vietnam War and went on four tours during his service. The Army was really the only choice at the time for my dad. He was an average high school student and the Army was a way to have a career and develop skills to use later in life. He entered as a private and rose to the rank of Staff Sergeant. He ended up being a highly decorated person for his bravery, valor and leadership of his troops during the war. If you notice, I keep noting these things in the past tense. My dad passed away in 1968 after losing a battle to Hodgkin’s Disease cancer at the age of 26. It’s amazing to me that he survived the difficulty of battle only to lose to a disease. 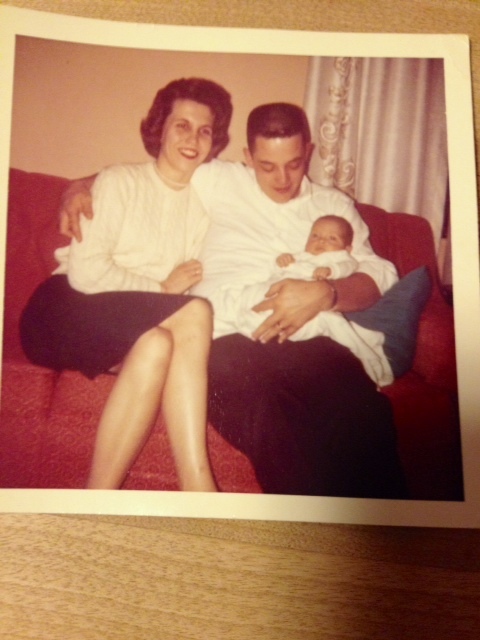 I’ve heard that my dad was caring, gregarious and had a deep laugh that came out easily and often. He was a dedicated friend and loving husband and father. I was only four years old when dad died. I have a handful of memories of him, but wish I had more time to have been with him. From what I’ve been told, he and I are very similar !! We look the same, have the same voice and I guess I even walk like him. When I laugh (which is often), my family has said, “That’s just like John.” I’m sure he loved life and lived it to the fullest !! One other thing that gives me pride . . .
My dad volunteered to be in the Army. Just when the draft was going to come into full force and be a dividing factor in our country’s history, my dad chose to serve. He knew that he could be called to be in harm’s way, and he signed up anyway. Today, there are thousands of men and women who are just like my dad. They weren’t drafted into service. They chose to serve, and they continue to do so in both times and circumstances of war as well as humanitarian efforts around the world. We are so comfortable in our day-to-day lives that we take for granted these folks who protect our freedom. That’s a shame and something none of us should take for granted. Without these thousands of people willing to step in and serve, I wouldn’t be having a picnic with my family this Memorial Day. So, I wanted to say “Thank You” to all the people of the Armed Services – not just on this day, but every day. When you see someone in uniform, thank them in person. They deserve this and so much more !! I hope you join me in being thankful for those who serve !! Author Steve Browne (Admin)Posted on May 26, 2014 Categories Random ThoughtsTags Armed Services, Family, HR, Human Resources, Memorial Day, Thankfulness, Veterans1 Comment on Those Who Serve ! !